I’ve always liked to be in the water, but by no stretch of the imagination can I call myself a strong swimmer. I didn’t take swimming lessons until I was in 5th grade, when I learned to do a passable crawl and a backstroke that always sent me into the next lane over. Years later, I got my scuba certification and travelled the Pacific with my gear in tow. My husband is a swimmer, too. He competed on his high school swim team and still likes to swim laps to keep fit. Our best vacations have been on the shores of Adirondack lakes. We lived in Mexico when our kids were ready to learn to swim. The American school had an enormous pool used for regional competitions, with football stadium-style bleachers running along one side of the modern pool house. Lessons were held after school when a legion of mothers, maids, and chauffeurs invaded the locker rooms to get the elementary students ready. The mothers wore stiletto heels, skinny pants, and pounds of jewelry, along with the obligatory sleek ponytail. Maids were limited to navy, black, or gray dresses with white cotton trim. A few pinks stood out, indication of a dedicated nanny. Chauffeurs always wore suits and ties. Once the children were chivvied to the pool, mothers, maids, and chauffeurs took to the stands, although not together. The mothers sat in a tight clique on the lower benches, with their employees scattered above. Most maids used the time to do the children’s homework. The swim coach was a handsome young man who strode up and down the pool deck in sweatpants and a coral necklace. The rumor was that he was a former Olympic athlete. He never got in the pool, but merely called out instruction to the flailing kids. No one seemed to care. I got the feeling, as he preened around the pool, that being a swim coach wasn’t his only source of income. After the lesson, the locker rooms filled again. Most of the children left the school grounds in pajamas and bathrobe, some carried across campus to the cars by the chauffeur. My kids survived having neither maid nor chauffeur and figured out the swimming process on their own. My son was a lifeguard through high school. My daughter got her scuba certification when she was 14. Hector took Luz to the Colegio Americano for Victoria’s swimming lesson. Luz met the little girl at the school’s aquatic facility, got her suited up, then carried Victoria’s towel and backpack to the bleachers. The little girl scampered over to her class. 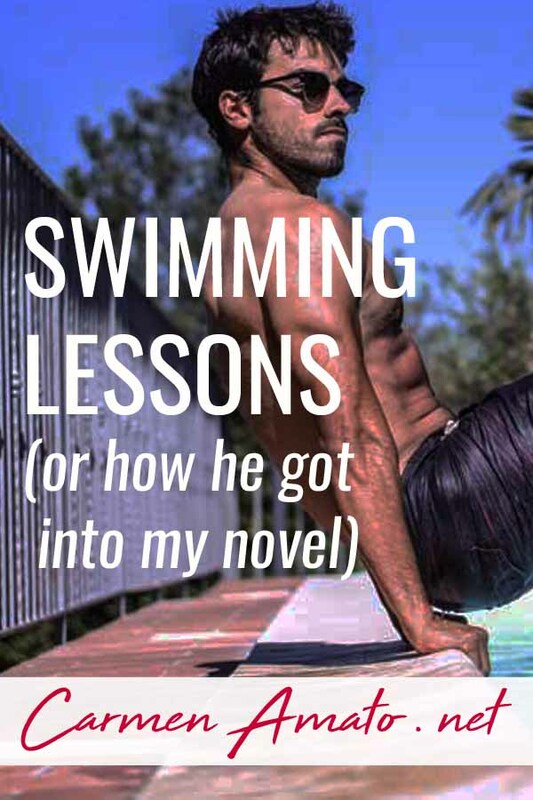 The swimming teacher was Coach Carlos, a muscular young man who taught the children by walking along the edge of the pool in tight warm-up pants and no shirt, flexing his biceps. Most of the mothers sitting in the bleachers during swim lessons couldn’t keep their eyes off him. There were far more maids than mother in the bleachers, however, all staring at the Coach Carlos show. Luz usually looked, too, although he was cocky and arrogant and way out of her league. Coach Carlos said something to Victoria. He lifted her into the water, the muscles in his back rippling as he bent. He probably has lots of parent-teacher conferences, Luz thought. She pulled her eyes away and opened Victoria’s backpack. English homework again. When the lesson was over Victoria ran back to Luz to be dried off. They went into the locker room and Luz dressed Victoria in pajamas and robe for the ride home and an early bedtime. 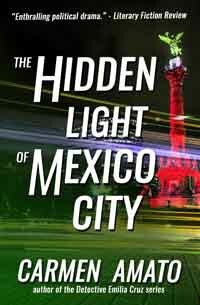 They were walking toward the front gate of the school, where Hector waited with the Suburban, when Luz heard the click of high heels on pavement. A hand tapped her on the shoulder. It was Señora Portillo, with her son whining next to her and the Portillo’s chauffeur walking behind with the boy’s backpack and swim bag. Señora Vega and Señora Portillo were friends, part of a circle of beautiful coffee-drinking women who met regularly at the upscale Café O on Monte Libano in Lomas Virreyes. “Saturday after next?” Luz verified. Luz was off again that weekend. If she worked for Señora Portillo on Saturday it meant she could not go home. But it also meant another 200 pesos and that was a real windfall so Luz said yes. “Alberto can pick you up.” Señora Portillo indicated the chauffeur. She extended a piece of paper to Luz with the date, time, and address on it. Her attention immediately refocused on a high-heeled mother strolling by who was obviously a friend. The chauffeur nodded at Luz as his employer chattered to her friend. He was a blunt-faced tank of a man poured into a sharkskin suit. Almost certainly a former boxer. “I am Alberto Gonzalez Ruiz,” he said. He spoke formally, but his diction was sloppy. Luz had the sudden silly thought that he probably had gotten hit in the head a lot during his boxing career. She gave him a weak half-smile. “I shall be pleased to see you that day,” he said meaningfully. Señora Portillo ended her other conversation and Gonzalez Ruiz followed her out of the school gate. Luz watched him go, her mouth dry. Chauffeurs made lots of money. Lots.